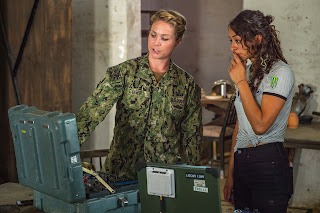 KINGS BAY, Ga. – As citizens of Inwood go about their daily lives, members of the U.S. Navy’s “Silent Service” submarine force work beneath the ocean’s waves, continuing a tradition that only a small fraction of military members will ever know: strategic deterrence. Petty Officer 3rd Class Cody Spinks assigned to Trident Training Facility hails from Inwood, West Virginia, and is a 2013 graduate of Musselman High School. 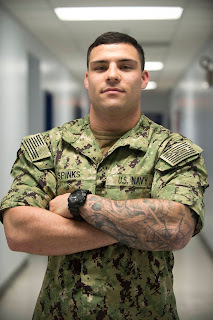 Spinks is a missile technician stationed at the Naval Submarine Base Kings Bay, homeport to the Ohio-class ballistic-missile and guided-missile submarines. “I am a missile technician in training and we work on the strategic weapons system on the boat,” Spinks said. Spinks credits continued success in the Navy to many of the lessons learned in Inwood. “Hardwork and dedication will take you a long way,” Spinks said. “This place is beautiful and the staff along with the instructors are all nice and helpful. 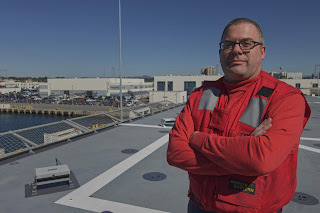 Plus, I get to interact with other missile technicians from the fleet,” Spinks said. Serving in the Navy means Spinks is part of a world that is taking on new importance in America’s focus on rebuilding military readiness, strengthening alliances and reforming business practices in support of the National Defense Strategy. Though there are many ways for sailors to earn distinction in their command, community, and career, Spinks is most proud of completing boot camp. He also became a class leader which gave him an opportunity to lead a group of his peers. As a member of one of the U.S. Navy’s most relied upon assets, Spinks and other sailors know they are part of a legacy that will last beyond their lifetimes providing the Navy the nation needs. “Serving in the Navy gives me a sense of fulfillment,” Spinks said. "I’m trying to make a better person of myself and the Navy is helping me do that."